HA note: The following is reprinted with permission from Libby Anne’s blog Love Joy Feminism. It was originally published on Patheos on June 4, 2014. If you read my blog, you’re probably aware of the Christian homeschooling subculture’s patriarchy problem. A variety of prominent Christian homeschool leaders have been promoting patriarchal family structures at homeschool conventions and in homeschool publications for well over a decade, and two of those leaders—Bill Gothard and Doug Phillips—have recently fallen, engulfed in scandal. Michael Farris, another prominent Christian homeschool leader, has since come out criticizing these leaders and the “patriarchy” they taught. Now Farris has openly criticized “patriarchy” as part of a keynote address while keynoting at a homeschool convention in Florida. Here is a clip from Farris’s speech, followed by a transcription. In this section of his speech, Farris speaks of homeschool graduates who grew up in patriarchal homes. The majority, I think, are walking with God. A significant minority, however, have rejected God entirely. A significant number are way way out there. And the critics that we’re seeing arising from inside the homeschooling movement—from young people in their twenties, mid-twenties mostly are the oldest group that are loudly criticizing homeschooling on the internet and so on and in other venues—were almost all raised in these kinds of homes, almost all, and there is no pretense of christianity in most of their lives. There are open homosexuals involved, there are atheists involved, there are people that utterly reject everything that we believe in and make no pretense about it. And so the idea that people are going to create generational patriarchal legacies, that didn’t work out for them very well. We’re not seeing that. You erect a false view of god for your children, don’t be surprised if they reject god entirely. That ‘s what’s going to happen. So what do we do as a movement first I would suggest that we run as far away from patriarchy and legalism as we can. Okay, wow. I have been excited about Farris condemning patriarchy because, regardless of his motives, his words may prevent at least some families from going down that toxic rabbit hole. But this? The patriarchy turns kids into gays and atheists? That is why he’s condemning it? Not, oh I don’t know, patriarchal homeschooling hurts people? Farris has read the stories on Homeschoolers Anonymous (or at least is aware of them), but his conclusion is not “patriarchal homeschooling is toxic” but rather “patriarchal homeschooling turns kids into gays and atheists”? For serious? Is Farris unaware that this is still formula parenting? Farris is saying homeschool parents should run away from patriarchy because it will turn their children gay and atheist. He’s acting as though you just have to find the right form of parenting and then, viola! Your children will not be gaytheists. What Farris apparently does not realize is that for many of us our parents’ insistence on us adopting their exact religious beliefs was just as constricting and painful patriarchal aspects of our upbringing, if not more so. My troubles with my parents started not when I rejected patriarchy but rather when I determined that God had used evolution to create the world. Ardent young-earth creationists, my parents all but disowned me. That they could treat me like that, and that they could insist on young-earth creationism in the face of clear scientific evidence, made me realize I needed to think through everything they had taught me, because any bit of it could be wrong. That path didn’t lead straight to atheism, taking me first through some other flavors of Christianity. If anything “made me” an atheist, it was not my parents’ belief in a patriarchal family structure but rather their insistence on blatantly unscientific beliefs and their decision to value their religion over their children, punishing me emotionally for any step I took away from their party line. But I sincerely doubt we will hear Farris speak out against any of this, because frankly, he’s the one who planted these seeds in my parents in the first place. Farris told homeschool parents, including my parents, that they were the Moses generation, removing their children from Egypt (the public schools) and educating them in the wilderness of Sinai (homeschooling). We children, Farris said, were the Joshua generation, raised up to take back the promised land of Canaan (aka to “retake America for Christ”). But then some of us, myself included, rebelled against the entire purpose we were being raised for and decided Canaan was just fine the way it was and that slaughtering its inhabitants sounded like a very bad idea. That is what provoked our parents’ backlash against us, as they sought for something to blame for our utter failure. That is why we felt suffocated, as our parents blamed us for falling short of the lofty goals Farris had fed them. But you know what? I don’t see Farris backtracking on any of that. But I would be remiss if I didn’t mention another problem with Farris’s speech, and that is how he defined “patriarchy.” If Farris were telling his audience that they should give up their belief in male headship and female submission, even if he were saying it to prevent children from turning out as gaytheists, I would be honestly and truly impressed. Why? Because Farris has for years taught that wives must submit to their husbands even if their husbands tell them not to go to church, or not to listen to tapes of sermons at home. Farris rejecting the belief in wifely submission so common to the Christian homeschooling subculture could be game-changing. And his stern rejection of “patriarchy” ought to indicate that he’s doing just that, right? Wrong. In his speech, Farris stated explicitly that wives are to submit to their husbands. Farris may be oblivious to this fact, but that is patriarchy. Farris made this statement to eschew what he apparently thought was patriarchy—the belief that every woman must submit to every man. But this idea was never taught by anypatriarchal Christian homeschool leaders. Think you that Doug Phillips would have had his daughters submit to the man they walk by in the grocery store? No. In fact, Phillips’ argued that if everyone woman remained in submission to her god-given male authority, he would protect her from the wiles of other men. Similarly, Gothard coined the term “umbrella of authority” and promised his followers that if they submitted to their god-given authority (singular), they would be safe from the storms of this world. In other words, Farris set up and knocked down a straw patriarchy and endorsed actual patriarchy in a speech ostensibly condemning patriarchy. Can you tell I’m frustrated? This thing writes itself like a comedy sketch. But by all means, Farris, make the real problem gay and atheist homeschool graduates (hi! ), not the actual suffering caused by toxic ideologies. I should point people back to my post on Monday, because this is yet another example of a homeschooling parent making homeschool graduates like myself the problem rather than actually engaging our concerns. In other words, it isn’t that Farris has a problem with the toxic ideas we’re calling out, it’s that he has a problem with our existence. But you know what? At least we have their attention now. There are open homosexuals involved, there are atheists involved, there are people that utterly reject everything that we believe in and make no pretense about it. i.e. These Second Generation Critics of Homeschooling are All Practicing Homosexuals(TM) and Atheists(TM). How does this differ from pointing a finger at the other kid in the schoolyard and screaming “FAAAG!”? SEE! THEY were the ones doing it wrong. Bad Parents. Michael Farris said so. How’s that for Guilt Manipulation of Christian parents? where did you get the idea that michael farris said patriarchy wasn’t hurting people and it isn’t toxic? i read the whole thing and i believe that he is screaming at the top of his lungs that extreme legalism and patriarchy is a false god, toxic, wrong, and it hurts people. and it hurts homeschooling. think about it. farris believes that people are gay because they choose to be. period. he believes that some HSers have been hurt so much by legalism and patriarchy that they have chosen to reject god and be atheists, and chosen to be gay as a consequence of that hurt. in farris mind, he is blaming patriarchy and legalism 100% for these outcomes. I think you may have misinterpreted what Farris is saying. He’s not saying that patriarchy creates homosexuals or atheists. Rather that a patriarchal, anti-homosexual anti-atheistic ideology clearly isn’t sustainable and doesn’t attain the results that these people were looking for in the first place. I think that indirectly, he is saying that these types of people will continue to be themselves regardless of how they are raised. His point is that the system that the parents were using used didn’t achieve the goals that they intended. Parents will never get the results they want through abuse, misinformation and control. Until Farris accepts that children are humans and not parental property, he will continue to be mystified by the younger generation. I don’t think he’s connected the dots yet. On a side note, my egalitarian, atheist parents successfully raised me to share their beliefs without any “training” at all. Fewer kids, sure, but a 100% success rate in reproducing their worldview in the next generation. Take that, patriarchy. I’m a believer in Christ, through and through, albeit of a rather liberal persuasion, who thinks homosexuality is a perfectly natural phenomenon and atheists are just people following their conscience, as we all should. 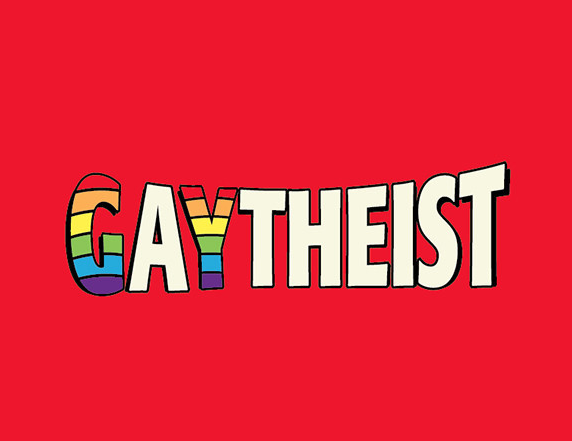 But I love this word “gaytheists.” I’m frankly a bit jealous of it. If it describes you, wear it loud and proud and with my support.